Jaitley advocated for cooperative federalism in agriculture, rural development and healthcare for the larger national interest. 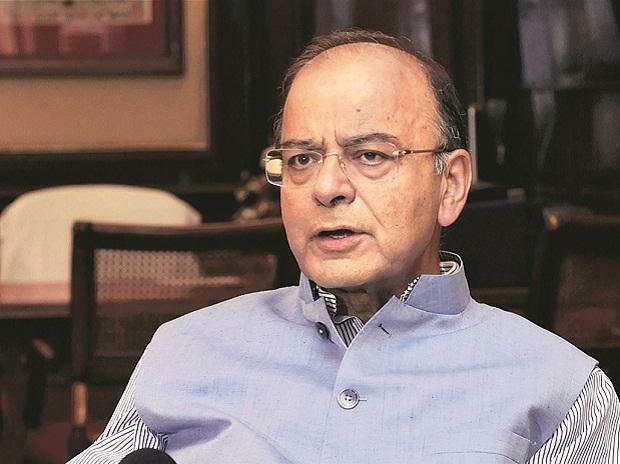 Expressing dismay at some opposition-ruled states for not cooperating in the Modi government's flagship schemes of Ayushman Bharat and PM Kisan, finance minister Arun Jaitley on Wednesday advocated the idea of replicating the experience of the GST Council in agriculture, rural development and healthcare. "West Bengal, Delhi, Odisha are amongst the states which have refused to implement Ayushman Bharat where every poor family gets up to rupees five lakh of hospitalisation support annually. Rajasthan, Madhya Pradesh, Delhi, Karnataka and West Bengal are non-cooperative in PM Kisan scheme where small and marginal farmers get Rs 6000 income support annually," Jaitley said in his latest blog, the last one in the series of ‘Agenda 2019’ articles. However, the finance minister said he would continue to write when interventions in public cause are required. He wondered whether behaviour of these states is in public or national interest. "Is it necessary to act against the poor and allow the compulsion of competitive politics to take over?," he said. In this backdrop, he advocated for cooperative federalism in agriculture, rural development and healthcare for the larger national interest. He said the central and the state governments have several schemes for the betterment of the farmer and both of them spend a large part of their budget in the sector. Similarly, the process of developing rural infrastructure and improving the quality of life in villages has now started, he said, adding a lot more needs to be done in both agriculture and rural development. "Should the Centre and the states be only competing and not supplementing efforts of each other? Should they not be pooling their resources and ensure that no overlap or duplication takes place and that the interest of the largest number is protected and enhanced?," he wondered. Pointing out that the same is equally true on healthcare, he said primary health centres, hospitals, health schemes for treatment of poor patients, supply of medicines at an affordable cost are all intended by both of them to ensure that affordable healthcare is available to the people. "For those who cannot afford healthcare, it is available at the cost of the Central and some State Governments. Is overlap of expenditure necessary or should it be pooled and spent in an optimum manner? he raised a public debate.